The Duke and Duchess of Sussex will stay in a mansion worth $40 million when they visit Sydney for the Invictus Games in October. The Duke and Duchess of Sussex will stay in a luxury waterfront mansion worth $40 million when they visit Sydney for the Invictus Games in October. The royal couple will be heading Down Under in just a few months' time to attend the international adaptive multi-sport event, created by Prince Harry in 2014, and have reportedly bagged a lavish home in the city's Eastern suburb with breathtaking beachfront views and eight bedrooms for the duration of their stay there. According to Inside Out, the home is located in Point Piper's prestige ''dress circle'' and offers a private butler's residence as well as a range of private balconies. 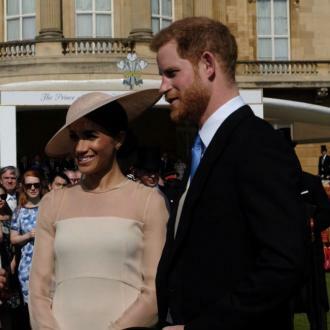 The pair - who got married at Windsor Castle in May - will stay in Sydney for the games, which run from October 20 to 27, before heading to Fiji and Tonga and finishing up New Zealand as part of their first tour since becoming husband and wife. The pair have been invited to Australia and New Zealand by the countries' governments and will travel to Fiji and Tonga at the request of the UK Foreign Office. The prince and his wife will follow in the footsteps of his father Prince Charles and late mother Princess Diana as their first overseas royal tour was also to Australia and New Zealand in 1983. The former couple - who got married in 1981 - travelled 23,701 miles and spent 41 days abroad, but it's not yet known how long the duke and duchess will spend there. In 2014, Harry's brother and sister-in-law the Duke and Duchess of Cambridge travelled to Australia and New Zealand and spent 18 days in the two countries.